Charles Scott, Ph.D. is a friend and colleague of GTEC who is a preeminent teacher and academic researcher. He is currently an Associate Professor and Program Coordinator of M.Ed. Programs at CityU in Canada. His research interests include leadership as a way of being, as well as dialogical and contemplative approaches in education. Like so many community leaders Charles has an abiding concern for the future of the planet. 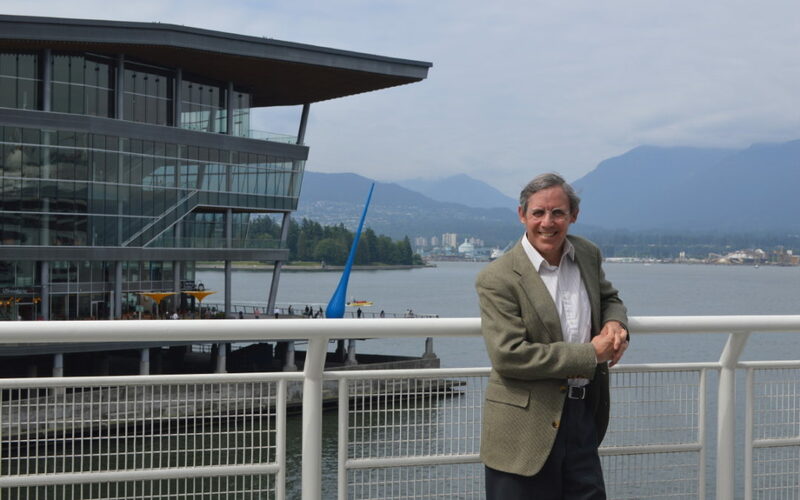 This post originates in a recent conversation between Charles and GTEC President, Arden Henley about the role of the transportation in carbon emissions. Comments that follow in blue boxes are those of Charles Scott. 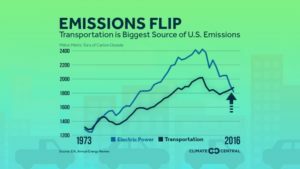 The busiest travel day of the year brings a renewed focus on transportation, and for the first time since the 1970s, U.S. carbon dioxide emissions from transportation have eclipsed emissions from electricity generation as the top source of greenhouse gases. The change comes as U.S. electricity generation relies less on coal and more on renewables and natural gas (a less carbon-intensive fossil fuel). Transportation emissions have also declined from a peak in 2008 due to steadily improving fuel economies, although there has been a small uptick recently as a result of a drop in gas prices. The projected growth in electric vehicles suggests decreases in CO2 transportation emissions are on the horizon. Even when accounting for how electricity is generated, an electric vehicle emits less carbon dioxide than a comparable gasoline car in a majority of U.S. states. A typical gasoline-powered passenger car emits 20 pounds of carbon dioxide for each gallon of gas burned, or about a pound for each mile traveled, and both electric and hybrid vehicles can cut back on those emissions. A recent Climate Central report, Climate Friendly Cars, shows which cars are the most climate friendly in each state. The rankings are based on the type of engine and the method in which electricity is generated in each state. 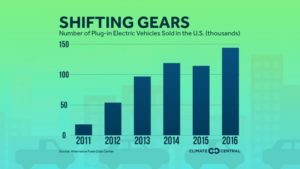 From 2011 to 2016, the number of plug-in electric vehicles sold each year in the U.S. increased by a factor of eight. Projections for electric car sales vary among organizations, but all indicate a substantial increase in plug-in electric car sales in the coming years. Traveling longer distances with electric vehicles is getting easier, as the number of publicly available charging stations has tripled since 2012, with 35,000 in place through 2016. And for those in a hurry, the number of fast charging stations, which can charge a battery most of the way full in about 30 minutes, has also tripled in that same time, with more than 5300 installed. However, America is playing catch up to China, which had 17 times more fast chargers than the U.S. at the end of 2016. 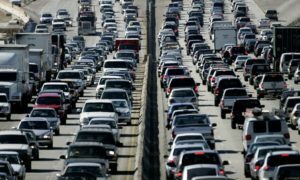 Transportation recently overtook electricity generation as the biggest source of greenhouse gases in the U.S.
Vehicles are now America’s biggest CO2 source but EPA is tearing up regulations. But in 2016, about 1.9bn tons of carbon dioxide emissions were emitted from transportation, up nearly 2% on the previous year, according to the Energy Information Administration. This increase means that transport has overtaken power generation as the most polluting sector in the country, and it’s likely to stay that way. Americans are buying larger cars and taking more flights – domestic aviation emissions grew 10% between 2012 and 2016 – and face little opposition in doing so. The White House said the new rules had been “shoved down the throats” of car makers, with the main industry lobby group pointing out that consumers overwhelmingly prioritize safety, driving performance and value for money over fuel efficiency. There are more than 70 car models on sale that achieve 40 miles per gallon and they account for just 1% of total new vehicle sales. Transport overtook power generation for climate-warming emissions in 2017 but the Trump administration is reversing curbs on auto industry pollution. Here’s the original data. In the PDF linked to on this page, you can look under “Environment” (figure 12.2) and see that transportation in the U.S. is now responsible for more emissions than any other sector. Also, as I mentioned, despite all the huge amounts of investment and roll out of renewables, CO2 emissions into the atmosphere continue to rise. 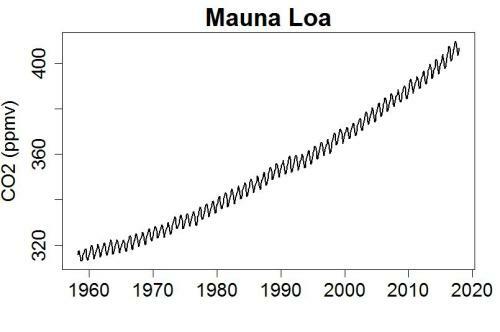 To use the bathtub analogy, not only are we still adding water (CO2) to the tub (atmosphere) but the rate of increase is increasing! We have to start draining the tub so that it becomes empty! 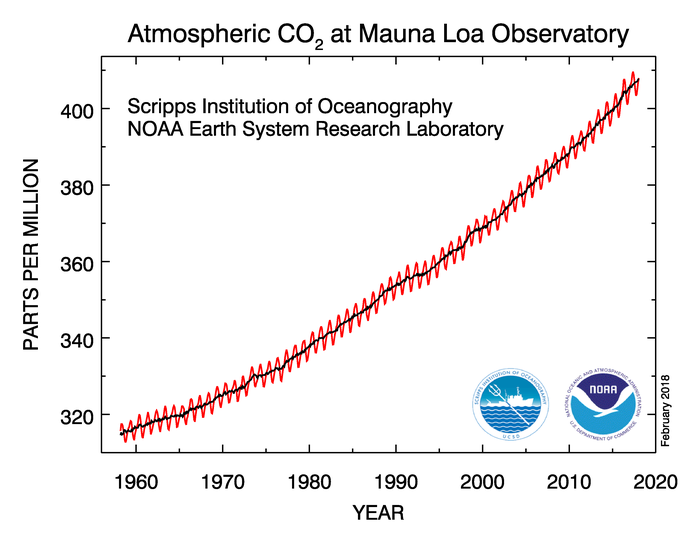 That is, human emissions of CO2 have to get close to zero! We are FAR from achieving this goal! 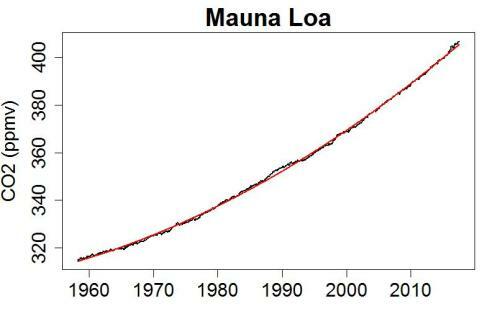 The carbon dioxide data (red curve), measured as the mole fraction in dry air, on Mauna Loa constitute the longest record of direct measurements of CO2 in the atmosphere. They were started by C. David Keeling of the Scripps Institution of Oceanography in March of 1958 at a facility of the National Oceanic and Atmospheric Administration [Keeling, 1976]. 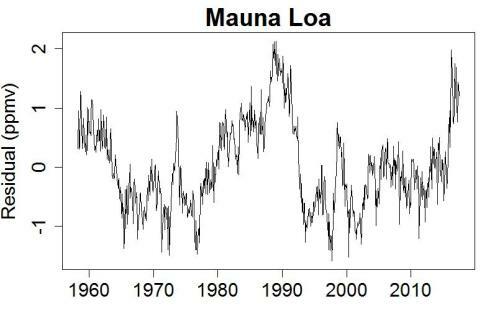 NOAA started its own CO2 measurements in May of 1974, and they have run in parallel with those made by Scripps since then [Thoning, 1989]. 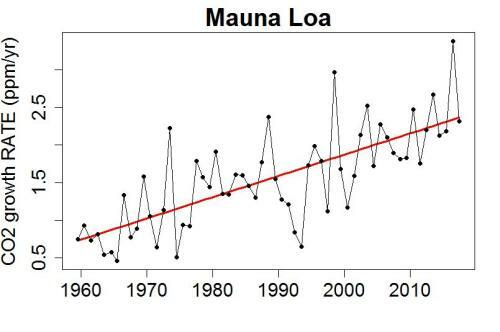 The black curve represents the seasonally corrected data.Data are reported as a dry mole fraction defined as the number of molecules of carbon dioxide divided by the number of molecules of dry air multiplied by one million (ppm). There’s lots of fluctuation, some of it related to known factors like the strong el Niñoevents of 1998 and 2016, but there’s no sign of a downturn recently. All of this means that we have to act quickly and drastically to change things. The reduction of CO2 emissions from fossil fuels and other anthropogenic sources has to happen quickly, which means that renewables for power generation and transportation have to ramp up really significantly really soon.